St. John’s AME (African Methodist Episcopal) Church is located at 2402 North 22nd Street. Founded in 1865, it is the oldest Black church in Omaha and Nebraska. It was founded two years before the Nebraska Territory became a state. This is a circa 1910 historical image of St. John’s AME Church at N. 25th and Grant Streets. It was sold to become St. Benedict’s Catholic parish in 1926. The founding minister of St. John’s AME, Rev. W. T. Osborne, was the first African American minister assigned to work in Nebraska. Rev. John M. Wilkerson was the first full-time pastor of the church, and stayed there for a long time. The church bought a lot at North 18th and Webster Streets soon after and built a church for $1,000. Located in Omaha’s original segregated Black neighborhood, it was built of wood without plaster on the inside walls, and served for more than 35 years. In 1908, Rev. William Dyette expanded that building. Then in 1917, Rev. W. C. Williams moved the church to a new property at North 25th and Grant Streets. A new church was built from a converted factory on that corner with designs by North Omaha’s architect, African American Clarence Wigington, and was located in the Near North Side neighborhood. This is a 1944 architectural drawing for the completed design for St John’s AME Church at N. 22nd and Willis Streets. In 1923, a foundation was built for the new St. John’s AME Church at North 22nd and Willis Streets. This 1939 pic shows a choir, instrumentalists and the Rev. outside of St. John’s AME Church at N. 22nd and Willis. Throughout their history, St. John’s has hosted countless activities. Opening in their basement in the 1920s, a sewing factory provided jobs to black women in the neighborhood. They provided homes for 120 families through the “Good Neighbor Homes” project in the 1930s; and in the 1950s and 60s they hosted the NAACP Youth Council. In the launched anti-apartheid rallies, and have housed dozens of other community organizations. During Omaha’s Civil Rights movement, St. John’s leaders provided leadership in the movement, pushed for equal employment and created low-income housing, especially through 4CL. In the 1990s, St. John’s established an after-school tutoring program. The church was one of the founding congregations behind the Union Services. Starting as a collection of Methodist-affiliated congregations in Omaha, it expanded as more churches hosted activities, services, choirs and other events to celebrate ecumenicalism and unity within Omaha’s Black community. St. John’s acted as a cornerstone by frequently hosting events, providing resources and promoting the Union Services to its large congregation. Today, there is a community garden, clothing drives, prison ministry, youth programs and economic development seminars at the church. This is Ophelia Clenlans in 1901. She was an important member of St. John’s AME, a founder of the Omaha Colored Women’s Club, and an important Civil Rights activist in the city. The congregation size at St. John’s AME has fluctuated throughout the decades. Starting with just five members in 1865, the church boasted more than 350 when they built their church on North 18th Street in the 1890s. When construction was finished in 1945, their North 22nd Street location featured seating for 1,100, which were filled beyond capacity in the 1940s and 50s. Today, the congregation has more than 350 members. The first members of the church in 1865 were Gospel Larry, Jeremiah Thompson, W. W. Porter and Daniel Williams. St. John’s has been host to several members who are notable in local and national history. One of the earliest Civil Rights leaders in Omaha was Ophelia Clenlans (1841-1907). She was a member of Omaha’s Colored Women’s Club and a leader in the Order of the Eastern Star. Serving on the board of the National Federation of Afro-American Women in the late 1890s, she frequently wrote letters to the editors in Omaha and was considered a prominent woman in the city when she died. Harrison J. Pinkett (1882-1960) was a journalist, activist and lawyer and member of St. John’s. He was the first university trained lawyer in Nebraska and a Civil Rights leader in Omaha who became estranged from the church in 1921 after suing the Rev. W. C. Williams over financial concerns at the church. He was also heavily involved in the Omaha Colored Commercial Club and the NAACP. Dr. W. H. C. Stephenson (1825-1899) was a doctor and Civil Rights activist. Born a slave, he helped found Zion Baptist Church and then became ordained as a minister in the African Methodist Episcopal Church. John Adams, Sr. (1876-1962) served in the Nebraska Legislature from 1949–1962. He was also an attorney and ordained minister at St. John’s who became a Bishop in the AME Church. Rev. W. T. Osborne established the congregation in 1865 and served as St. John’s first minister. He was the first African American minister assigned to work in Nebraska. Rev. J. H. Hubbard served the congregation from 1866 to 1868, with Rev. W. B. Ousley there from 1868 to 1869. Rev. W. L. Harrod was next from 1869 to 1870, with Rev. William Sexton from 1870 to 1871, Rev. G. W. Gaines from 1871 to 1873, and Rev. J. W. Braxton from 1873 to 1875. Rev. B. F. Watson served from 1875 to 1876, and Rev. J. A. Fouche was from 1876 to 1878. In the 1870s, Rev. John M. Wilkerson began serving the church, where he stayed for several years. Rev. Burrell Mitchelle was responsible for finishing the first church building in the 1880s. In 1908, Rev. Henry Blanton Parks became the first Bishop elected from St. John’s. Rev. Henry Blanton Parks served from 1886 to 1908, and Rev. William Dvette from 1908 to 1912. Starting in 1912, Rev. W. T. Osborne worked there until 1917, and Rev. W. C. Williams succeeded him from 1917 to 1924. His brother, Rev. C. A. Williams, served the church from 1924 to 1926 and was succeeded by Rev. John H. Grant from 1916 to 1928. Rev. I. S. Wilson served from 1928 to 1932, and Rev. Pearl Bryant from 1932 to 1936. Starting in 1936, Rev. R. A. Adams served for three years, and Rev. E. B. Childress served from 1945 to 1948. From 1948 to 1956 Rev. S. H. Lewis served, and he was followed by Rev. McCoy Ransom from 1956 to 1960. Rev. T. A. Sears succeeded him. In 1941, Rev. E. F. Ridley came to Omaha to serve at the church. Throughout the 1940s, Rev. T. A. Sears led the congregation into ecumenicalism throughout Omaha’s Black Churches, and towards the Civil Rights movement. Rev. E. S. Foust led the church from 1960 to 1972, and Rev. E. W. Newtown served from 1972 to 1975. Rev. John R. Williams, Jr. served in 1975, and from 1975 to 1978 Rev. H. Calvin McMillan served the church. As of 2017, Rev. Leslie R. White serves the congregation. Perhaps the most notable minister of the congregation was John Adams, Sr. (1876-1962). Rev. Adams was an AME minister who lived in North Omaha and belonged to St. John’s. 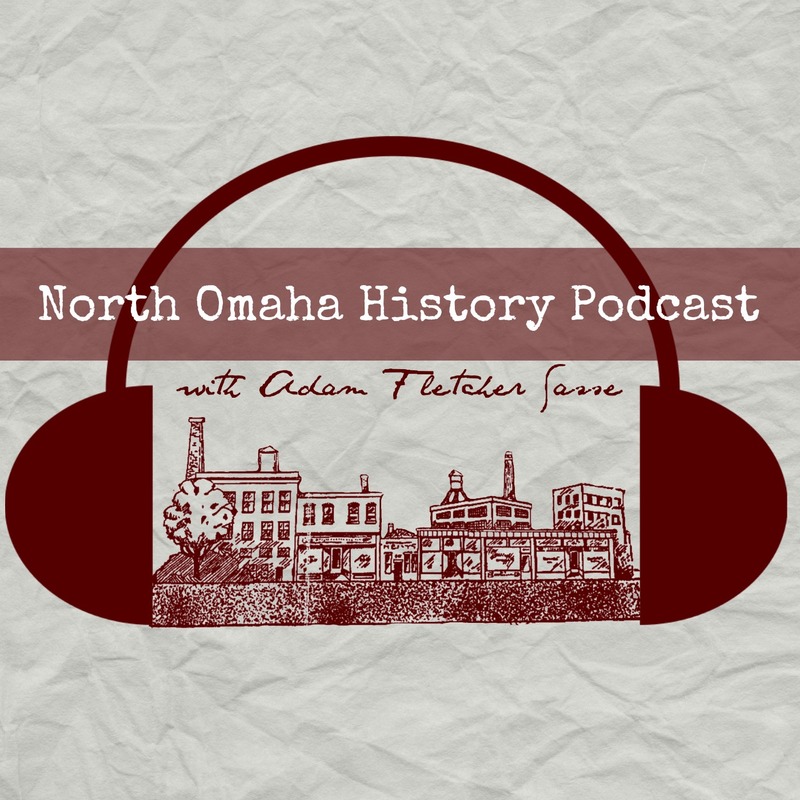 Living and working in the Near North Side neighborhood as a lawyer, Adams served as North Omaha’s representative to the Nebraska Legislature from 1949 to 1962, during which time he was the only African American member of the body. Rev. Adams became the presiding elder of the national AME Church in the early 1960s, and served until he passed away in 1962. Designed in 1921 by Frederick S. Stott at 2402 North 22nd Street, St. John AME Church is a rare example of post-1915 Prairie Style architecture. In 1923, Saint John’s began construction on their monumental church at N. 22nd and Willis Streets, also in the Near North Side. The congregation sold their second church at North 25th and Grant in 1923 to the new St. Benedict’s Catholic parish, a segregated congregation. Meeting in the only-completed basement at 2402 North 22nd Street for more than two decades, St. John’s soldiered onward. Frederick S. Stott and R. F. Hennig designed the new St. John’s building in the Prairie style. Taking more than 20 years to complete, the church features stylized massing, flat lines and space for the church’s needs. It was designed to seat more than 1,100 people, and includes a choir loft and more. Heavily influenced by Frank Lloyd Wright, St. John’s AME Church is a notable architectural contribution to Omaha and has been designated an official Omaha Landmark by the City of Omaha Landmarks Heritage Preservation Commission in 1978. It was recognized nationally for its role in Omaha’s Civil Rights movement as well when it was listed on the National Register of Historic Places in 1980. This pic shows the interior of St John’s AME within the last few years. St. John’s AME Church continues today as the oldest Black church in Omaha, and will celebrate its 155 anniversary in 2020. There is now a history center at the church to tell the story of from its founding year to the present day. It includes photographs, historic articles, books and other historic artifacts. The congregation worships at their beautiful building on the corner of North 22nd and Willis Streets every Sunday. “St. John African Methodist Episcopal Church (Omaha, Nebraska)” on Wikipedia. This is the 150th anniversary logo for St. John’s AME Church that was used in 2015. This is the same view as the 1939 picture to the right, minus the choir.